Since the boys were nice enough to recommend making this topic a category, I am reorganizing it (04/09/2014). 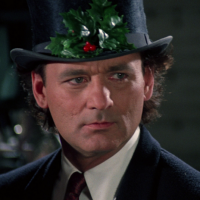 I don't want to just spew information everywhere but address topics as they come up. So your job is to ask me questions and I will take those questions in address them either in this thread or with a new thread on that topic. Please also follow up and ask questions in any thread you desire. This has replaced my introduction/overview which has been moved to it's own thread. Re: Wet Work. How long do you bathe the poster? Daybills being thinner than one sheets would have less time in the bath? Great question. Not really, for say the initial soak and deacidification. I am at 20 to 30 minutes before my first rinse after the CaOH pretty much any poster. However, a byproduct of the CaOH turns the water yellow (maybe brown - I am color blind) and if that happens to a significant degree, I will do another 20 minute soak... Now for bleaching, it's all a big babysitting job, you never leave it. Unless, you want to be really conservative with a weak solution that takes a good hour to work... It's usually a 15 minute event, unless there are spots that need attention... There are actually two methods I use. Let me get to a desktop and I will discuss those. Ok so the two methods. This is taking the poster(s) and placing it in a tray, or the like, with a solution that has been calibrated to a pH level 10-12. Leaving it for the prescribed time. Here is the "left-overs" from a set of daybills I did for you. I soaked them because they are smaller and the tray is manageable. 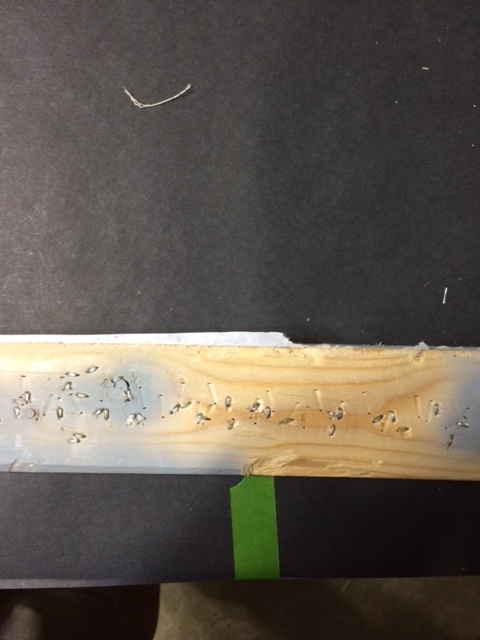 This is taking the poster against a mylar sheet and after it had been completely made wet and excess water mechanically removed - soaking the poster with by spraying a prepared solution (g/L) on both sides and sustaining the presence of that solution between two mylar sheets. This is actually easier and more difficult because you have to respray in 5-10 minute intervals to ensure that the poster remains completely wet with solution. If it does not remain completely wet discoloring may appear as the CaOH solution does act as a mild bleach as well... It's a constant babysitting job but one where you are only preparing a 1L solution versus a 10 liter bath that is then pitched. So when you take the poster out of the bath. 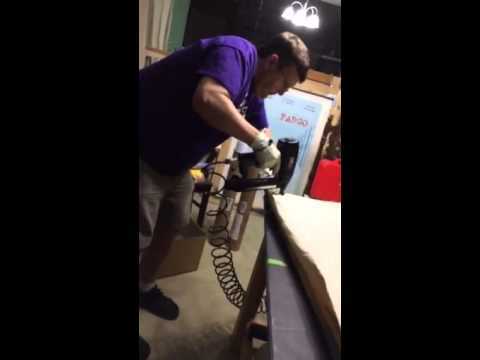 Do you lay it face down on a mylar sheet, then roll out the moisture? Oh and I remember you said one of the daybills had a fair bit of dirt/muck when you washed it. You can really see the discolouration of the water in that photo. 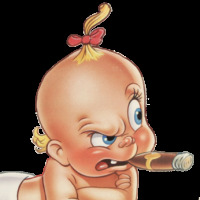 Hahaha, no I was surprised when Charlie sent me the photo long ago because the daybills i sent him were close to near mint and I didn't see any dirt in them. It just consolidated the reasons for me to back posters. The Streetcar dirt got washed in Canada remember....and came out a treat! I'll talk more about process in a little while. Step by step. Now you just need to make informational videos showing us the steps lol. Good work Charlie. For the bleaching compound I use, Calcium Hypochlorite, it is important for the paper to already have alkalinity for it to work properly for a few of reasons. One is that a deacidification bath before bleaching helps with foxing, sometimes it removes those little pest of spots before bleaching all together. 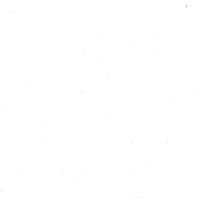 Second is inactivates metal ions in the paper. Third is raises the pH so that when the acid byproduct lowers the pH degradation does not occur. So what does this mean? Ever wonder why conservators charge more for bleaching? Well if done by the following method one can figure it out right away - it's a lot of work! I've not used Hydrogen Peroxide but have used Chloramine T but in literature it has fallen in disfavor because of the difficulty in removing it from the paper and the lack of control after rinsing. 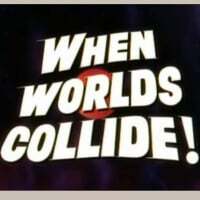 What shall we talk about next time? 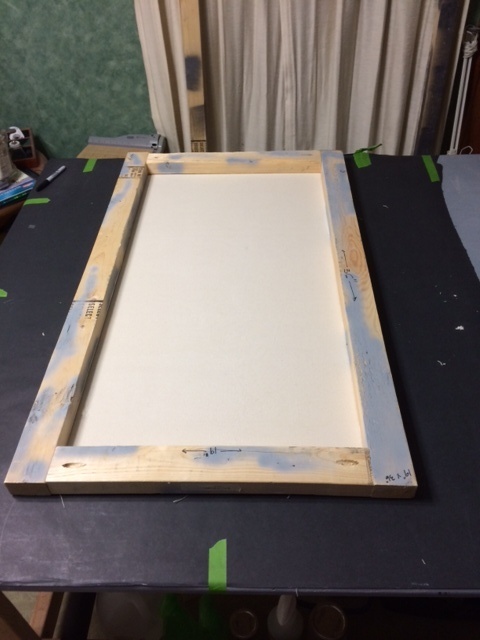 Stretching the canvas on the frame and applying the masa paper, please. 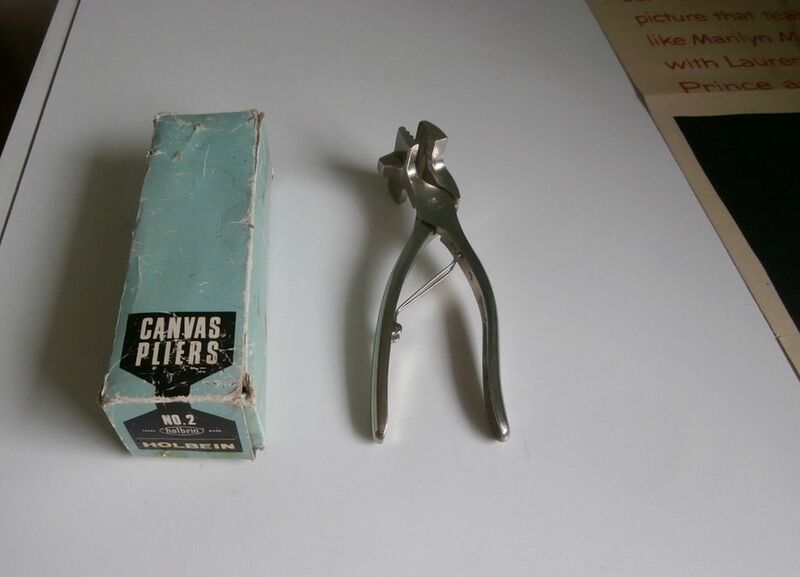 Do you use canvas pliers? Right...so Mrs S does this step in the process. :-\"
Great stuff Charlie. Should start ur own linen backing resto business.. 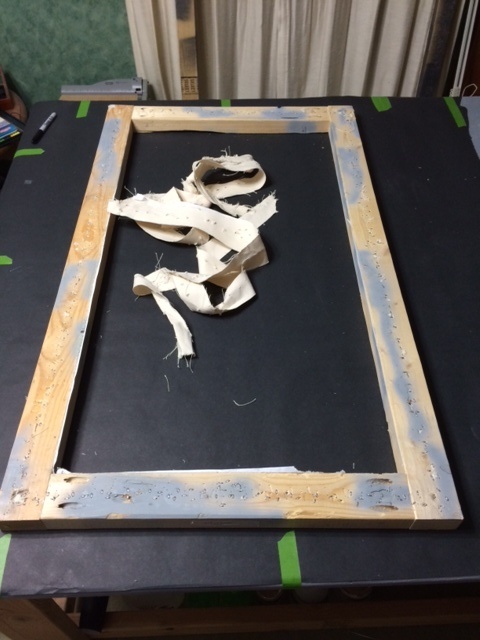 So this is a daybill frame where a linenbacked poster has been cut down. This one is jointed with pocket screws. I can talk more about making the frames in another post. 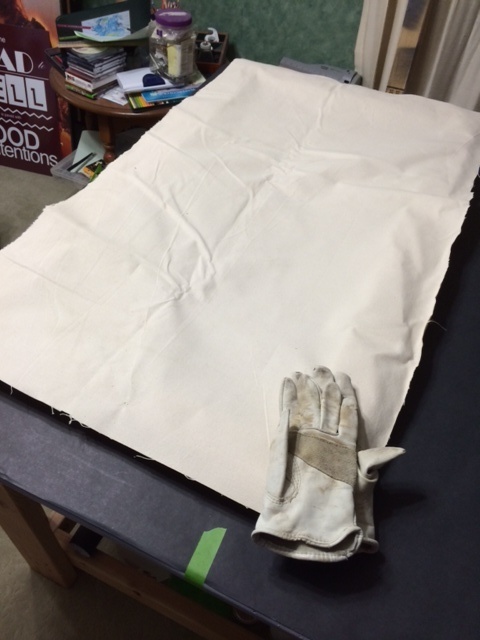 I remove old linen and paper before putting on the new canvas. I have in the past not done this and it always comes back to bite me. 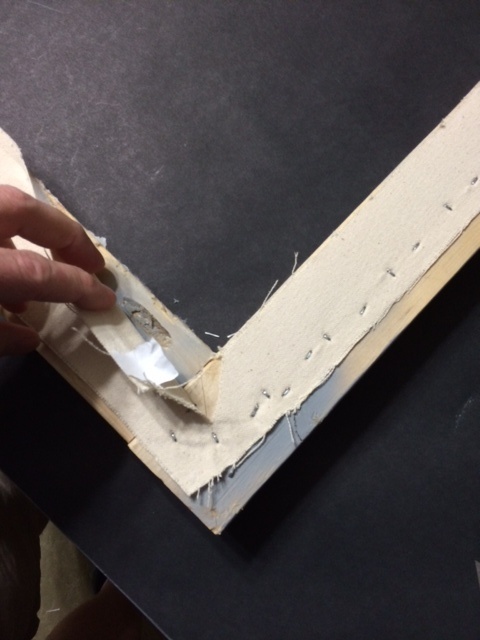 Here I made a slit to manually rip the canvas off the frame. Old canvas off, now to clean up the remaining masa from the last backing. If you leave this on here, it can get under the masa or the poster and cause bumps. Worse it comes off and you don't see it in time. With all that removed, these are the tools I use. 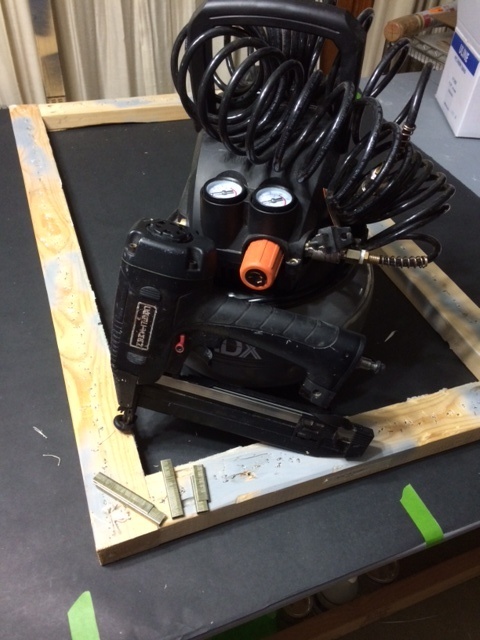 An air compressor, finish nailer (w/ staples), and staples. PSI set around 55 - you don't want the staples to go through the masa. 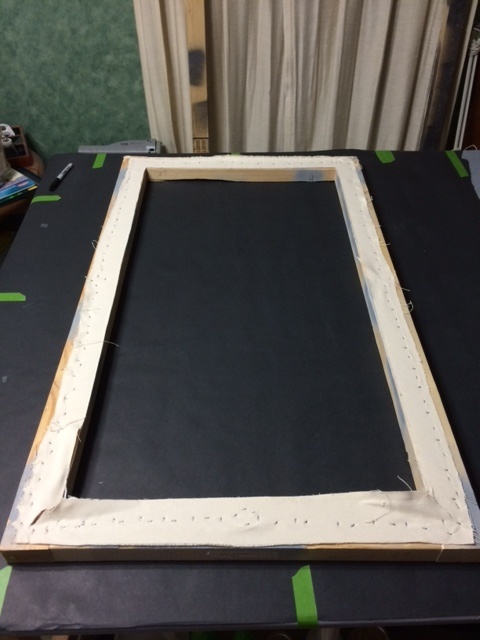 Here I have loosely fit the cotton canvas (12oz unprimed) over the frame. I usually leave an inch to inch & a half over hang for grabbing onto. 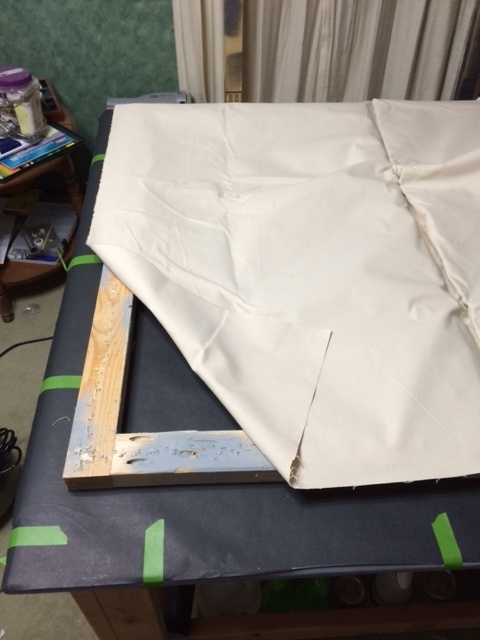 I've pinned the canvas on two sides and trimed it. You can measure, but this is faster. Got my gloves out! 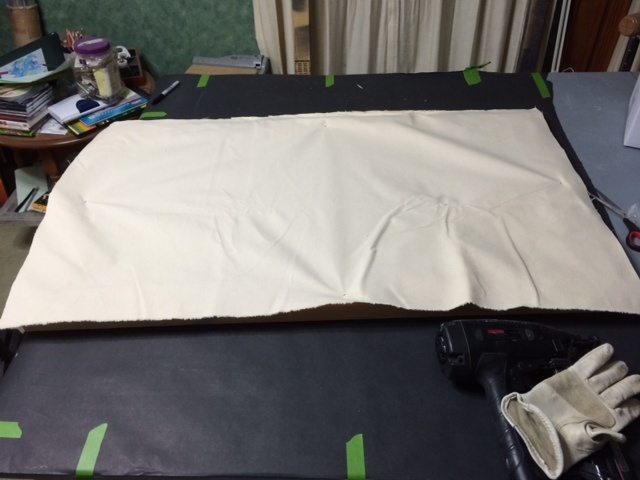 Here I have pinned all four sides and I am ready to stretch the canvas. I had Mrs. S video the next part. That's pretty cool stuff Charlie. I spoke with my Dad months ago about that. He says they do have that sort manufacturing process for pre stretched canvas frames sold in art and craft shops. Probably not viable for your Dario's in the world, but I see your point. Something homemade might be the ticket. Just getting it small enough to fit into a studio might be an obstacle? Isn't Australia near Japan? As in Japanese Masa paper... Let me look.